The mosque at the centre of the San Bernardino terrorist attack is back in the spotlight after one of the organisation’s clerics, Roshan Abbassi, was found to have had repeated contact with terrorist Syed Farook in the months before the deadly attack which left 14 people dead and 24 people injured. Mr. Abbassi and his fellow teachers at the mosque had previously claimed that they barely knew Mr. Farook, despite his repeat attendance at the Dar al Uloom al Islamiyyah mosque in San Bernardino. The mosque is now believed to be a haven for Tablighi Jamaat activists – a fundamentalist, proselytising Islamic sect known in some circles as the “Army of Darkness”. The New York Post reports that the Federal Bureau of Investigation (FBI) has found repeated phone contact between Mr. Abbassi and Mr. Farook, dating back to a two week period in June – coinciding with the terrorist attack on two military sites in Chattanooga. Mr. Abbassi – when not dodging difficult questions from Breitbart News journalists – emphasised to reporters during a press conference held just two days after attacks that he only knew Mr. Farook very casually. He said at the time that he only exchanged pleasantries with Mr. Farook when they both attended the mosque. “Hello, goodbye, how are you… just casual conversation… nothing more than that,” insisted Mr. Abbassi. When asked at the time if the FBI was investigating anyone else at the mosque, he replied, “No comment” before giving reporters a wry smile. He was then asked to clarify, to which he replied, “No comment”. After being pushed a third time, he responded brusquely: “You guys are our guests. If we have no comment, you cannot force us to have a comment thank you very much”. And the stories between Mr. Abbassi and his fellow mosque leaders didn’t stack up either. One claimed that Syed Farook hadn’t attended the Dar al Uloom Islamiyah in a year, whereas Mr. Abbassi later revised this figure down to “a month”. Mr. Abbassi also tried to blame the terrorist attack on “workplace anger”, stating: “Radicalisation? Never. In Islam there is no such thing as a radical Islam. There’s proof it was workplace anger. Proof. And everyone knows the argument that he got in with one of his people and why don’t they ever tell us what the argument was about”. Speaking to other local imams, Breitbart News found a real fear of the Tablighi Jamaat sect, with one leader at the Corona-Norco mosque just a few miles away telling Breitbart reporters that the group was “dangerous” – especially for those who don’t know what they are getting involved in when attending such mosques. “The Tablighi thing could get out of hand,” he said. “[They] sleep in the mosque… they have… the beards,” he dragged his hand further down his chin, widening his eyes. A U.S. Department of Homeland Security whistleblower – Philip Haney – told Breitbart News Daily that he was involved in an investigation that might have stopped the San Bernardino attack, but was stopped by the Obama administration in the name of political correctness. 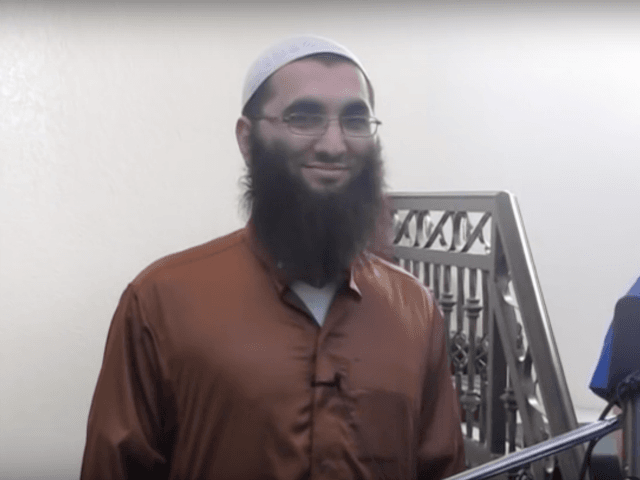 Earlier this month Breitbart London revealed that a family in Britain who claimed “Islamophobia” after being banned from the United States were too linked to the Tablighi Jamaat mosque in San Bernardino. Britain’s security services have yet to comment on the suspicions surrounding the family.